FREE Cinnabon Classic Roll Or Minibon For Nurses! 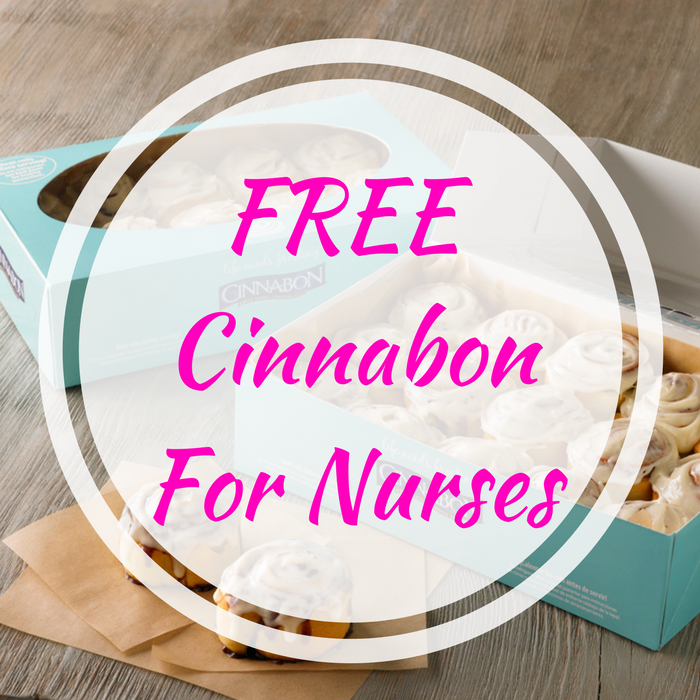 You are here: Home / FREEbies / FREE Cinnabon Classic Roll Or Minibon For Nurses! Until May 12 Only! Cinnabon is giving away FREE Cinnabon For Nurses! Nurses can get a FREE Cinnabon Classic Roll or MiniBon Roll! They just simply need to present their healthcare ID – no coupons needed! This is a yummy treat!